The UPMC St. Margaret Family Medicine Residency Program recognizes the profound impact of physician well-being to each resident, the program as a whole and the medical community. There are multiple ongoing efforts to enhance work-life balance in order to address physician burnout and compassion fatigue, and improve physician satisfaction, both professionally and personally. In 2015, resident-driven efforts led to the creation of a Wellness Committee, consisting of residents, staff, and faculty. The Wellness Committee meets regularly to implement new initiatives to target residents’ physical and mental well-being. For more resources, click here! During the first year, inpatient rotations and certain outpatient rotations include evening and weekend on-call responsibilities. Monday through Friday, inpatient services sign out at 4:30 PM to the evening “short call” team of residents, who in turn sign out to the Night Float Team at 8:30 PM. First year residents on call-eligible rotations have one short call per week on average. Weekend call responsibilities are divided into shifts to maintain compliance with duty hour regulations. Senior residents on select inpatient rotations serve as the lead resident for the on-call team during evening short calls and weekend day/night call shifts; the senior on Night Float leads the call team overnight on weeknights. One of the byproducts of having a large residency program as well as a Night Float system is that our residents, particularly during PGY2 and PGY3, enjoy several call-free rotations. Second year residents have four call-free rotations and third year residents with at least six call-free rotations. St. Margaret’s residents like to learn, but free time for family and friends is important too. Featured on Mondays is the “Medical Decision Making” (MDM) series. MDM is a time to learn and practice evidence-based-medicine skills. Far more than just a journal club, in MDM residents learn how to critically appraise and access the medical literature – and how to apply what they find to each unique patient situation. Progress rounds are held every weekday and are a case based discussion facilitated by a faculty member, but led by the residents. Progress rounds offer the opportunity for residents and faculty to learn from our patients via cases set in the hospital and Family Health Centers. Thursday mornings from 8 a.m. until 11:30 a.m. are devoted to the “Core Content Series” (CCS). Over the course of the year, residents experience topics covering the breadth of family medicine, including physical diagnosis, patient communication, practice management, models of health care, board review, and management of common conditions. CCS sessions are interactive and innovative, with opportunities for hands-on learning and immediate practice of new skills. Web-based learning is also incorporated into the curriculum. All third-year residents contribute at least one presentation to CCS, and prominent guest speakers provide an opportunity for our residents to meet local and national leaders in medicine. Resident feedback continues to be a vital force in shaping the content and format of CCS. CCS is protected time in which all residents who are on non-essential rotations, have no other work-related responsibilities and therefore are able to attend. Second and third year residents all take part in a longitudinal project that benefits the community of patients that we serve. Residents select from a list of activities or create their own project that involves either quality improvement, scholarly research or community service. An average of one a half-day per month is devoted to the longitudinal project. Other longitudinal and/or community experiences include home visits, school health, sport physicals, community education talks, attendance at local community fairs and events, and caring for nursing home patients. All family health center deliveries are supervised by family medicine OB faculty. Additional deliveries are supervised by private OB attendings at Magee Women’s Hospital. Added experience can be gained by doing local or away high volume elective rotations as a 2nd or 3rd year and by doing ones private practice initiative with a site that provides obstetric care. Residents planning to pursue an OB fellowship or incorporate obstetrics into their future practice can also choose to complete a women’s health or obstetrics area of concentration which involves additional research and presentation requirements. PALS, NALS and ALSO courses are available for all residents. The bulk of our residency training takes place within UPMC St. Margaret. However, several key rotations do take place off-campus. These select rotations reflect our commitment to excellence in education. A good example is our four rotations at Children’s Hospital of Pittsburgh, one of the premier pediatric hospitals in the world. 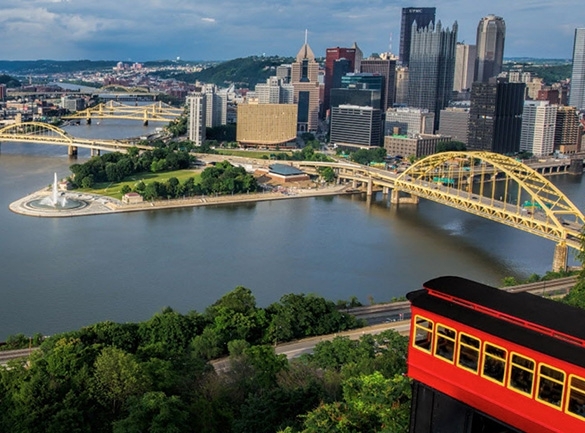 Because of their performance on these "away" rotations, UPMC St. Margaret Family Medicine residents are well-respected by the Pittsburgh health care community. 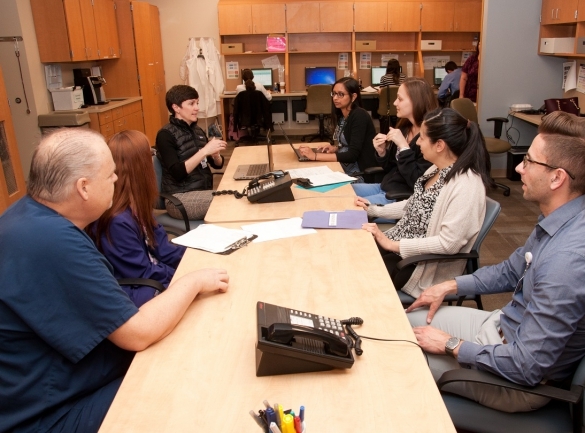 Residents assigned to these outside rotations maintain close contact with UPMC St. Margaret through regularly scheduled Family Health Center office hours. Residents also have chosen to travel afar for some of their elective experiences. For example, Alaska for additional rural medicine training, the Southwest for an Indian Health Service experience, or even exploring health delivery systems in Africa.